I gained a lot of pounds when I was blessed to bake my baby. I can’t remember the exact amount of pounds but I was so happy to find out that after having her I lost most of it. I was told I would have to press my tummy and all that stuff but I only allowed it twice before I revolted and decided to let me be. While breastfeeding, I slowly was losing the weight but I wanted more. 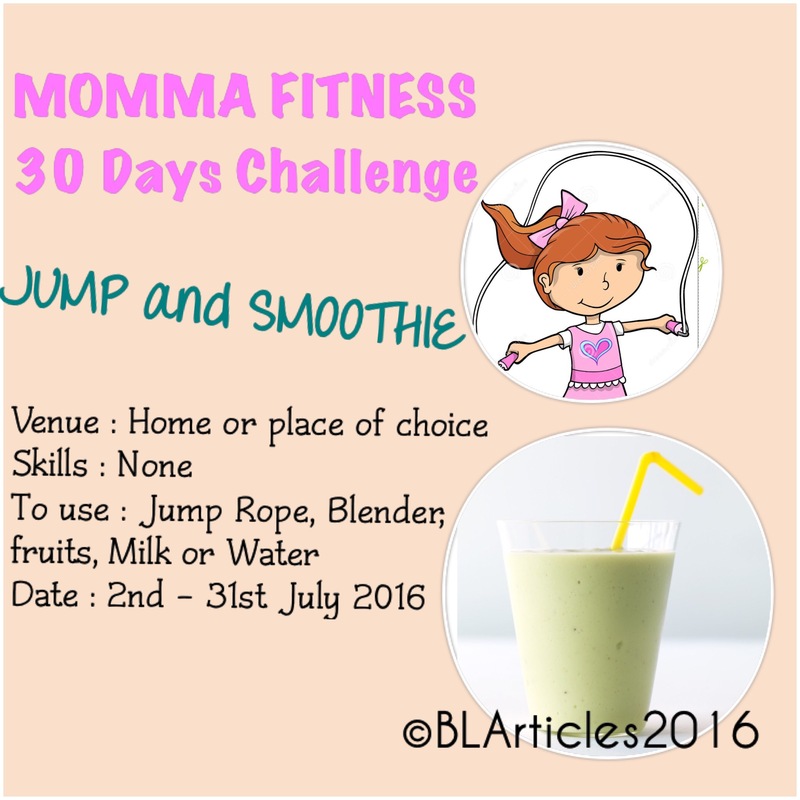 I wanted to make exercise part of me because I want my children to grow up and do same which is the reason for this challenge which will span through the month of July. I looked at what I have readily available at home and I found a Jump rope, Dumbell and an Exercise mat. I thought within myself, why not make use of what you have. I also like smoothie and I have been taking it since I was baking, so I continued it. I also thought, I’m exclusively breastfeeding my little one, why not research on smoothie that enhances milk supply and yes I found them and they work wonders. Great thing is that as much as it helps milk supply for breastfeeding mums, it is super yummy and healthy for everyone. Lastly, I was able to jump 120 times and I was breathing so heavy and sweating being the first time in after a year. I’m definitely going on till the end. Leggo people. Mrs O love you big and God bless you.